This took me a bit longer than I thought it would but I got there in the end. It is not what I imagined when I began but I like the end result. really beautiful!! so glad you joined us at the ColourQ this week! Beautiful card, Tracy! Love that fabulous butterfly! Thanks for joining us at the ColourQ this week. Like Sylvia, I love that great butterfly! Thanks for playing along with us at ColourQ this week! Your cards are amazing! Simple but absolutely gorgeous -- I am drooling! Beautiful use of the colors! 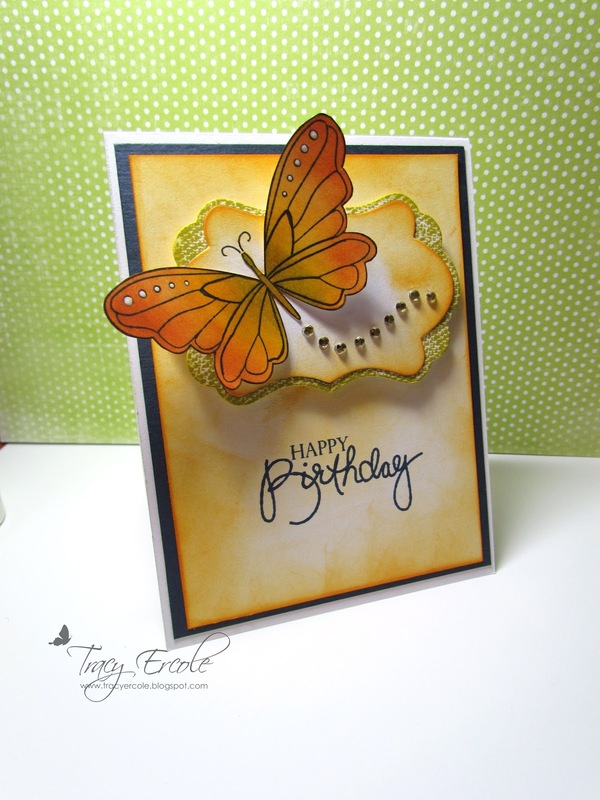 I love that brilliant butterfly fluttering out of your sunny background! I also want to pass an award along to you. I love your work and wanted to make sure my readers saw it also. 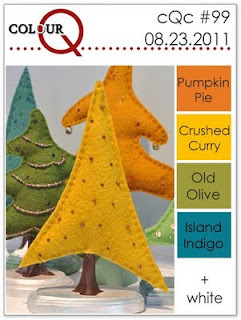 Check it out on my blog - Joyful Creations with Kim.